Pelvic pain is a common complaint for women and can have a number of different causes. If you’re experiencing pelvic pain, Tina Mehta, DO, FACOG, and Melissa Kushlak, DO, FACOG, at Elite OB/GYN can conduct a thorough examination to help identify the source of your pain and provide the appropriate treatment. Call the Fort Lauderdale, Florida, practice today or schedule an appointment online. What are common causes of pelvic pain in women? An issue in your reproductive, urinary, or digestive system may result in pelvic pain. If you’ve been experiencing pelvic pain for more than six months, then it’s considered chronic pain. Dr. Mehta and Dr. Kushlak recommend you come in for an evaluation if your pain is keeping you from doing the things you enjoy. How do I know what is causing my pelvic pain? Your specialist may also recommend an ultrasound, which can be done at the office. The noninvasive ultrasound uses sound wave technology that creates pictures of your internal organs and can find reproductive issues such as fibroids, ovarian cysts, or an ectopic pregnancy. Treatment for your pelvic pain depends on the cause. 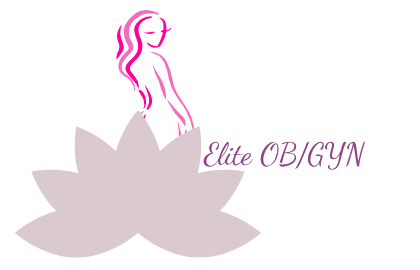 Your specialist at Elite OB/GYN creates a personalized treatment plan that provides you the most relief and resolves the underlying issue. What if my pelvic pain is the result of an STD? Your specialist at Elite OB/GYN can prescribe an antibiotic to clear up the STD and any other infection that may be present, and relieve your pain. For relief from pelvic pain, call Elite OB/GYN or book an appointment online.